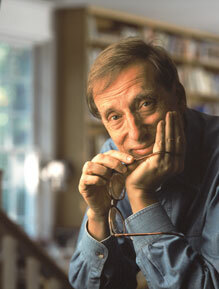 April 26, 2010 – On Monday, May 3, the presenter of this year’s Nelson Mandela Annual Lecture, Ariel Dorfman, in conjunction with Kerry Kennedy, the Robert F Kennedy Center for Justice and Human Rights and The Public Theater, will present a one-night-only benefit reading of his play Speak Truth to Power: Voices From Beyond the Dark. Adapted from Kerry Kennedy’s book Speak Truth To Power, the reading will be directed by David Esbjornson and feature notable actors Elias Koteas, Alfred Molina, Julianne Moore, Viggo Mortensen, Aidan Quinn, Gloria Reuben, Meryl Streep, Stanley Tucci and Debra Winger. All proceeds from the reading will benefit the relief efforts of international relief organisation Habitat for Humanity, in Chile. At the beginning of the year an earthquake devastated parts of Chile, leaving many people homeless and without access to food and water. Dorfman’s haunting play chronicles the true accounts of heroic people withstanding horrific violence across the globe, as they take a stand against human rights abuses. Voices from around the world cry out against violence and oppression – from world leaders like Archbishop Desmond Tutu to unknown activists. The play is a powerful and moving testimony of the will of the human spirit to rise up against injustice, even in the face of incredible darkness. Tickets for the reading went on sale on Tuesday, April 20. All tickets to the reading are $175 and may be ordered by calling +1 212 967 7555, on The Public Theater website, or in person at the Public Theater box office, 425 Lafayette Street, New York. All ticket holders will be invited to an exclusive post-show reception.